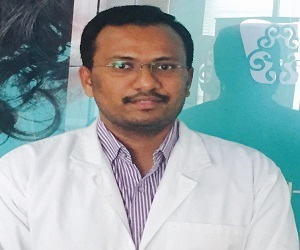 Dr. Johnpramod is a Pediatric dentist working in Apollo white dental chandanagar. Has 3 years of experience. Completed BDS & MDS from CKS Teja institute of dental science & research, interested in management of children with special needs, trained unconscious sedation for dental treatment in unco-operative children, did research in evaluation periodontal disease in children with down syndrome. speaks English, Hindi & Telugu. 3 months back i was admitted here ..in a serious condition .i lost my all teeths and my upper jaw also broken ..thaks to sister krishna, doc isha suri and doc Sainyogita they had relly taken gud care and done my entire treatment succesfuly .. now i got all my teeth back ...and they make my smile even more beautiful.